For many years it was just the mother's who received this recognition. The death of a child effects the family as a whole in our case Pedro (dad) and Troy (brother). None of us will ever forget the day the CNOs (Casualty Notification Officers) walked up our sidewalk. "The United States of America regrets to inform you Spc Michael L Gonzalez ..................." . They did not need to speak the words because as soon as I seen them I knew. Like you're in a movie but a million times worse because you're at the receiving end of the tragic news. Our lives as we knew it was changed forever. I remembering saying ,"We can not do this alone." meaning coping with our grief alone as a family. 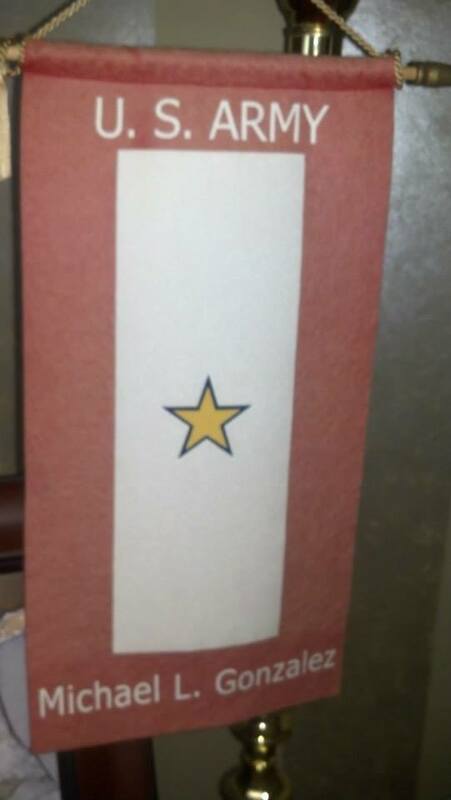 In recognition of Gold Star Mother/Family Day. I share some of the resources that we as a family used to help us cope with the greatest loss in our lives our beloved Michael.